There's been no end in sight to the controversy over Linux desktop environments, and with new contenders including Unity, GNOME 3, and Cinnamon--to name just a few--users now face more choices than ever before. For many longtime Linux users, however, there's nothing like the welcoming feel of the old, familiar GNOME 2 interface, and that's just what a new Linux distribution has set out to deliver. Based on Debian Linux, SolusOS is a beginner-friendly desktop Linux whose next version--now in alpha--features a GNOME 3 fork designed to look and behave just like GNOME 2. SolusOS quickly sprinted up DistroWatch's page-hit rankings following the release of its first stable version, called “Eveline,” back in May. Now situated at No. 26 on that list, the distro just saw the release of a fifth alpha version of SolusOS 2 about a month ago. I had a chance recently to speak with Ikey Doherty, creator of the Linux Mint Debian Edition and now the SolusOS project's founder and lead developer, about SolusOS and what's coming in the next release. Here are some of the highlights you can expect to find in the next version of this up-and-coming Linux distro. SolusOS's first release, which is currently the stable version, features the GNOME 2.30 desktop, but “we all know eventually it's going to go away,” Doherty explained. 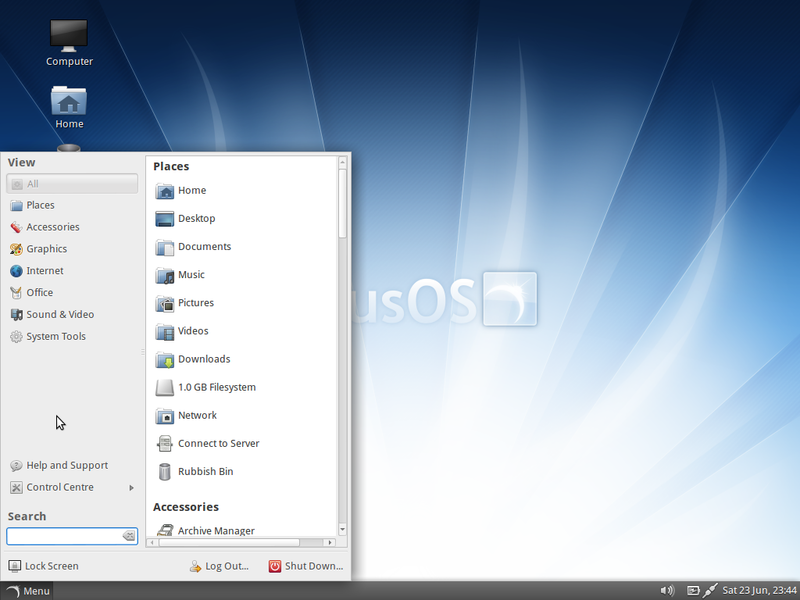 Accordingly, SolusOS 2 will use a custom version of GNOME 3.4 called GNOME Classic instead. The screenshot below offers a small taste of GNOME Classic's look and feel. Based on the Linux 3.3.6 kernel, SolusOS 2 currently includes LibreOffice 3.5.4, version 13.0.1 of both Firefox and Thunderbird, Adobe Flash 11.2.202.235, VLC 2.0.1, GNOME Panel 1:3.4.2.1-5solusos1, Nautilus 1:3.4.2-1.2, and SolusDesktop 3.4.3.2.1, among other packages. Also included are firmware for some common wireless LAN chipsets and a variety of non-free codecs for what the project team calls an “out-of-the-box” multimedia experience. “We ensure we use a rock solid base for stability whilst providing a rolling application stream,” Doherty explained. SolusOS 2 will also feature a “totally overhauled” theme, the project team says. SolusOS 2 is still just in alpha, of course, so it's by no means ready for production purposes. This latest one is the last alpha version, however, so a beta release won't be far behind. Due to appear in that beta series, in fact, is a raft of new, SolusOS-specific software, including privacy and parental controls, enhanced media and graphics functionality, and updated packages. SolusOS 2 is planned to be a Long Term Support release, and will reach its final version “around the same time that [Debian] Wheezy goes stable,” the project team says. Want to check out SolusOS for yourself in the meantime? It's available for free download in 32-bit and 64-bit versions on the SolusOS site.